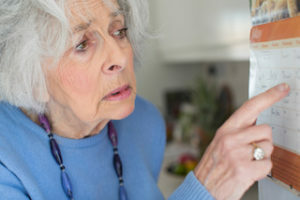 Alzheimer’s Care – These online Alzheimer’s care articles will provide you with tips and strategies for caring for Alzheimer’s patients as well as finding alzheimer’s care facilities, making plans, and living with someone with alzheimer’s. Diagnosed with Alzheimer’s? What to Do Next August 13, 2017 by Jennifer Grey Alzheimer's Care - Receiving a diagnosis of Alzheimer’s disease isn’t easy. The bad news is that Alzheimer’s is not curable. The good news is that the early stages of Alzheimer’s disease can last for years in some cases—and you can still live a fulfilling and rewarding life in that time. You also have time to plan, prepare, and … Continue reading "Diagnosed with Alzheimer’s? What to Do Next"
Family Resource Guide To Alzheimer’s Disease August 13, 2017 by Jennifer Grey Alzheimer's Care - A decline or loss of mental function that interferes with a person’s normal ability to remember, think, or function is known as dementia. The most commonly encountered form of dementia is a serious condition that is called Alzheimer’s disease (AD). With Alzheimer’s, which accounts for up to 80 percent of dementia cases, the loss of … Continue reading "Family Resource Guide To Alzheimer’s Disease"
Having the Conversation: When You Think Your Loved One Needs Senior Housing August 13, 2017 by Jennifer Grey Alzheimer's Care - There’s plenty of help out there for those considering senior housing. But there isn’t much information that addresses how to start the difficult conversation you’ll eventually need to have with a loved one—suggesting that they need senior housing in the first place. Often, children of elderly parents feel as though they have no other choice—they … Continue reading "Having the Conversation: When You Think Your Loved One Needs Senior Housing"